Rohen sells, services, installs and maintains fire alarm systems and related components for Greater Toronto Area businesses. 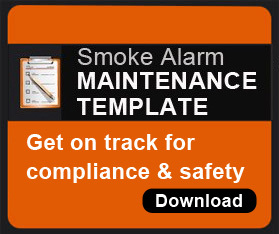 Read our blog post on "The Importance of a Fire Alarm Maintenance Checklist" here. Provincial and municipal fire codes in the Greater Toronto Area dictate specific mandatory maintenance and inspections for your fire alarms and other fire safety equipment. Rohen can relieve you of another administrative task by ensuring that your properties undergo all necessary maintenance and inspections timely and compliant with applicable codes. 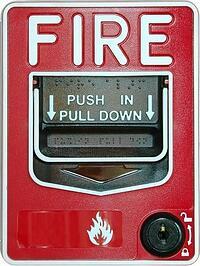 Customized fire alarm systems & servicing packages. Increased safety for properties and personnel. Fire alarm maintenance, testing & education. We'll provide inspection reports for your records, including feedback on any areas of deficiency. We'll keep track of all mandatory servicing deadlines & requirements. For facility and property management professionals who have enough on their plates, outsourcing your fire alarm systems maintenance can give you an extra layer of protection from threats to safety and risk of non-compliance.